NEW YORK -- Apple users who keep seeing "A?" instead of "i" can finally breathe easy. 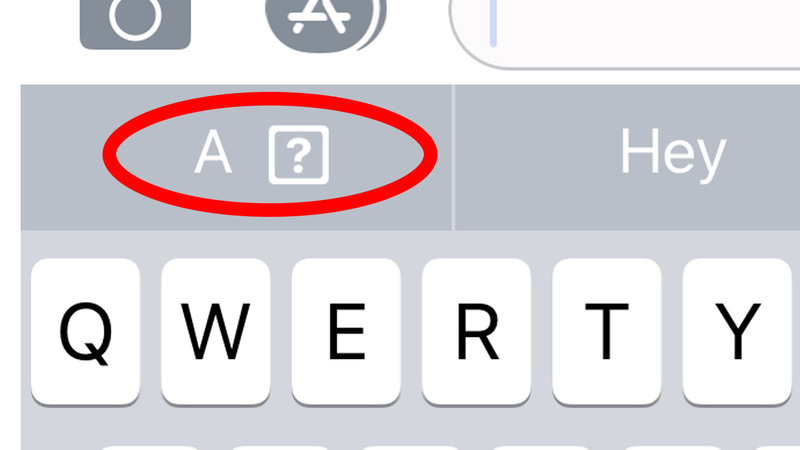 On Thursday, Apple released an iOS update to fix an issue some people experienced where a lower-case letter "i" automatically corrected to an "A" and a question mark symbol. The issue seemed to impact iPhone users on its most recent mobile software, iOS 11.1. The new software launched last week and includes hundreds of new emoji options. Not only did the bug frustrate many people, some complained on social media that Apple was taking too long to fix the issue. "iPhone (has) face recognition but still hasn't fixed the letter glitch," wrote one Twitter user. Before releasing the update, Apple suggested a workaround. Users could select the Keyboard settings and add a text replacement to circumvent the issue. "For Phrase, type an upper-case 'I,'" Apple said on its website. "For Shortcut, type a lower-case 'i.'" The new update also fixed an issue where "Hey Siri" -- which alerts Apple's voice assistant -- stopped working. It's not unusual for new software to have bugs. A previous version of iOS 11 had a problem with the calculator app and miscalculated the result of 1+2+3. CNN Tech's Selena Larson contributed to this report.